These videos feature cartoon police cars protecting their community from criminal cars and trucks! These will definitely become your kid’s favorite police car cartoon available online! These anthropomorphic machines are easy for anyone to fall in love with. 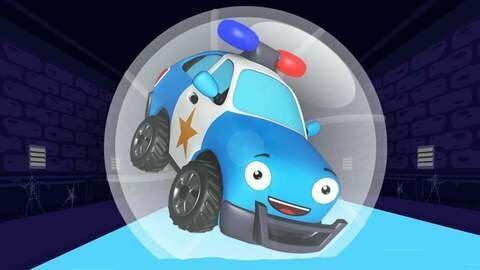 Watch and learn as the cartoon police car patrols the city, looks for bad guys, and even has a high speed chase with a criminal truck. Kids will enjoy coming to work with this cartoon police car. This online video will help teach kids to be friendly with officers and approach them if they need help, without them ever having to get offline. This video is for children who love police cars, fire trucks, and ambulances, all in cartoon form! Find this and other movies like this only on Seezis!